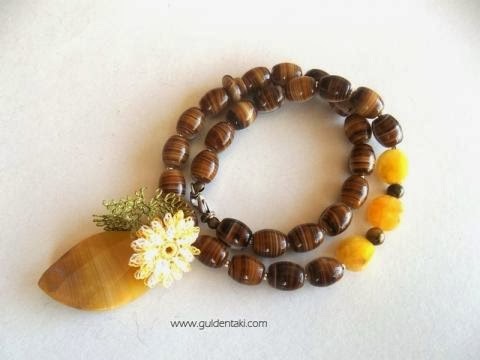 This necklace is made of brown glass beads with Amber pendant. 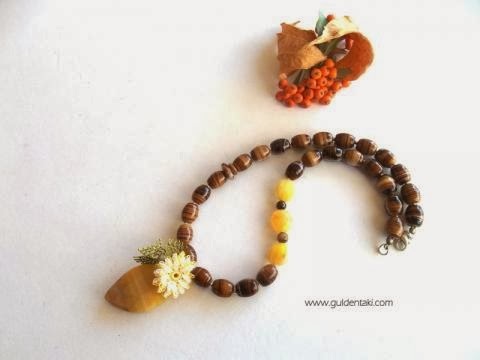 This necklace is a wonderful gift to yourself or to your loved one. Necklace length: 45cm.